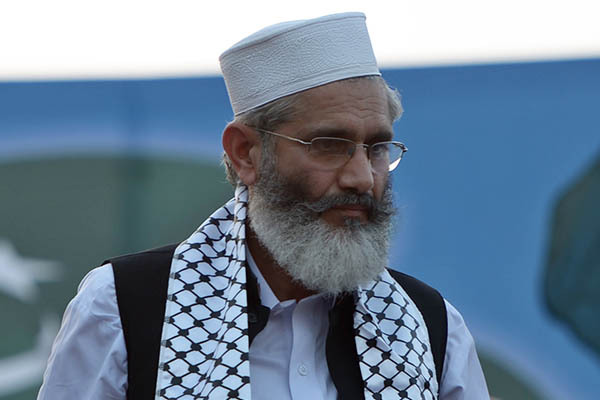 LAHORE (92 News) – Jamaat-e-Islami chief Sirajul Haq has said that the tall claims of Punjab Chief Minister Shahbaz Sharif of ending loadshedding in three months have proved false. Addressing an Iftar dinner, he said that will Punjab CM Shahbaz Sharif had announced to change his name if he could not end loadshedding in three months during the elections campaign. “Should he change his name or we should do it,” he said. Sirajul Haq said that Nawaz Sharif’s claims of providing uninterrupted electricity have too proved false. He said there were prolonged power outages in the country including Lahore. He said politics has bcome a business and the budget has been presented under interest-based system.